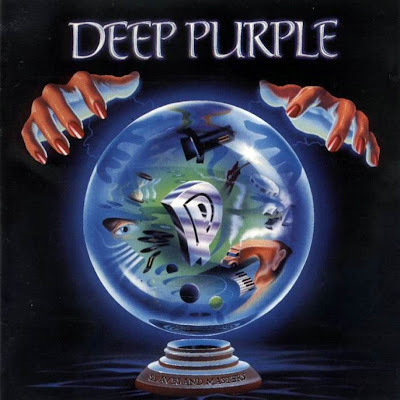 On February 5th, Friday Music will release the Deluxe Edition of Deep Purple's “Slaves And Masters,” the only album featuring former Rainbow/Fandango singer Joe Lynn Turner. Now remastered, the album features two rare bonus tracks: “Slow Down Sister” (B side of “Love Conquers All” 12” and 45) and the hard to find 45 edit of “Love Conquers All”, as well as including rare RCA label memorabilia. According to the press release: "Featuring the Mark V line up of Ritchie Blackmore, Ian Paice, the late Jon Lord, Roger Glover and new addition hard rocker Joe Lynn Turner, ‘Slaves And Masters’ was a nice way to kick in a new decade with this one time configuration. Most notably hard rocking tracks like 'Fire In The Basement', 'King Of Dreams' and the international hit power ballad 'Love Conquers All' helped make this a much played album at rock radio from day one of its release. Even through all their well-documented changes over the years, Deep Purple as reigning kings of hard rock and heavy metal shined through on this album. It’s easy to hear why... the familiarity of the band was still there with its guitar shredding maestro Ritchie Blackmore, the powerful drum sound of Ian Paice, Jon Lord’s iconic keyboard work, Roger Glover’s slammin’ bass, and Joe Lynn Turner’s hard rockin’ vocals, ‘Slaves And Masters' was a winning affair." The project is the second of ten in the band’s reissue series, which kicks off January 29 with “Live In Paris 1975” – read about that project here.